Do you suffer from your jaw locking open or shut? Do you suffer from jaw pain? Temporomandibular joint (TMJ) disorder is the main cause of these symptoms. Jaw pain can have many origins and can easily be put into two main categories. Traumatic versus functional. Traumatic injuries often warrant more immediate imaging and surgery, while functional usually requires a more conservative approach for the problem to truly be corrected. TMJ disorder often is caused by from having a large amount of dental work, excessive chewing/clinching, or in some cases a genetic predisposition. In order to understand TMJ disorder, we must first look to the anatomy for a generalized understanding. Most cases of pain from the jaw can be corrected from treatments such as chiropractic care, acupuncture, and physical therapy. network of ligaments that form a capsule around the joint itself. The ligament’s primary goals are to hold the bone together while conforming to the joints normal motion. Ligaments can be easily described as being like a stiffened rubber band. Like with all joints, the surrounding muscles play an integral role as well. The main muscles that play an integral role are the masseter, temporalis, medial pterygoid, and lateral pterygoid muscles. The lateral pterygoid is the only muscle of mastication(chewing) that opens the jaw. This means that it is much easier to get someone’s jaw closed compared to trying to hold their jaw open. We do not advise that you put this to the test! There is also a cartilaginous disc that sits within the TMJ in order to reduce friction. This disc also helps absorb the shock that it put into the jaw and significantly reduces friction in order to help the TMJ open and close smoothly. 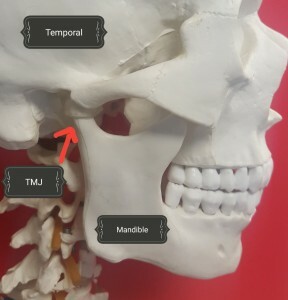 Interestingly, the disc of the TMJ slightly dislocates forward every time the jaw is open properly. This is to ensure the disc does not get “pinched” when pivoting the jaw open. 1. Subluxation- Subluxation is defined in chiropractic as any joint that becomes slightly misaligned or stops moving properly. When the TMJ becomes subluxated, the meniscus and surrounding tissue become irritated leading to pain. 2. Ligamentous weakness or sprain- In addition to the muscles supporting the jaw, there is a multitude of ligaments that help keep the joint in place as well. When these ligaments become weak or injured, it can lead to instability that often leads to pain. 3. Muscle weakness or injury- The final major cause for TMJ disorder is due to problems associated with the surrounding musculature. These muscles provide the vast majority of support to the joint in all instances and are responsible for much of the jaw’s movement and range of motion. These muscles can weaken and/or strain over time due to repetitive stress or imbalances that develop, leading to pain. 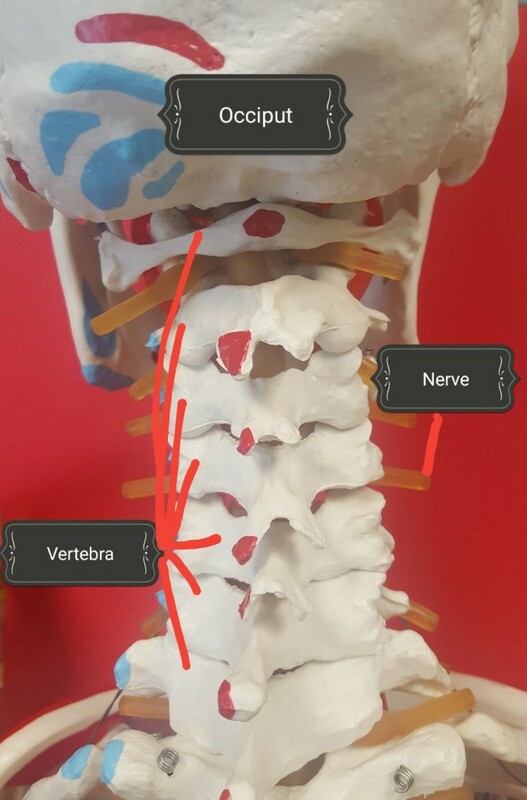 Cervical paraspinal muscles are divided into 4 main groups and their function is largely determined by their structural location around the core of the body. 1. Flexors – Any muscle located at the front half of the neck or cervical spine is considered a flexor. To envision the action of a flexor, it is the motion of bringing your chin to your chest. 2. Extensors- Any muscle located at the back half of the neck or cervical spine is considered an extensor. Extension is performed when looking up towards the ceiling. 3. Lateral Flexors- Regardless of if they are in front or back of the spine, muscles that are either to the right or left of the spine in the core are the lateral flexors. To envision the motion of the right lateral flexion, for example, imagine taking your right ear to your right shoulder. 4. Rotators- Muscles that rotate the core can be located in any structural location of the neck. To envision the action of core rotation, it is simply the act of looking over your shoulder. Any muscle of the neck can belong to more than one functional group listed above. For example, the splenius capitus muscle has the ability to extend, laterally flex, and rotate the neck. 1. Subluxation- As mentioned above in the discussion of the TMJ, subluxation is defined in chiropractic as any joint that becomes slightly misaligned or stops moving correctly. The most common type of subluxation in the neck involves the facet joints. The facet joints are the most posterior joints connecting each of the seven cervical vertebrae. When the facet joints become subluxated it can lead to the irritation of the nerves that extend into the TMJ joint causing jaw pain and dysfunction. 2. Disc problems – The discs located between each of the vertebrae can bulge and herniate. Located in the center of each disc is a gelatinous material. Over time the walls of the disc can weaken and break down, allowing a gelatinous material to push out or bulge toward the outside of the disc. If the wall breaks and the material actually leaks out, this is called a herniated disc. The problem with a disc bulge or a herniated disc comes when the displaced disc places pressure posteriorly toward the nerve roots that are exiting on either side of the spine at any of the various levels of the vertebrae. This can cause not only neck pain but also TMJ as well. The neck and the head are the foundation to which the TMJ sits upon. A tree branch cannot be supported without the trunk and roots. The TMJ cannot be aligned properly unless its trunk is sitting on level ground. Below are some suggestions for things that you can do for yourself at home to help relieve TMJ disorder. 1. Apply ice- Many find considerable relief from applying localized ice to the jaw area, Ice works to reduce inflammation and swelling thus providing relief. Apply ice for 15 minutes every 2-3 hours as needed. 2. Watch your sleep – Sleeping on your back is best for providing the least amount of stress on the neck and jaw. Using only one pillow that keeps the head neutral with the spine is preferred. Sleeping on your side can be done as efficiently as well. Make sure to keep the pillow(s) in a position where the head is not leaning toward your shoulder. You should also avoid tucking your chin to your chest while sleeping. Clenching the jaw or grinding the teeth is another very common contributor to TMJ disorder. Talk to your doctor about possibly wearing a mouthguard while sleeping to prevent this type of stress on the TMJ. 3. Take NSAIDS- Non-steroidal anti-inflammatory drugs like ibuprofen can be taken to reduce swelling in the TMJ. By reducing swelling, more space is created in the TMJ capsule, thus allowing for easier mobility and blood flow to the area. 5. Strength exercises- The jaw can easily be strengthened when doing the doing exercises shown below. For the first exercise, applying pressure onto the chin with two fingers and resisting the pressure being applied is effective. In a similar fashion holding pressure on the side of the jaw and resisting is great for preventing lateral(side-to-side) movement of the TMJ. It is important that we strengthen the muscles around the TMJ in order to support it and stop subluxation. See the pictures below for examples of these exercises. 6. Watch your posture- Many people slouch while sitting, meaning they let their shoulders roll forward, head “droops” forward, and their lower back rounds. These habits will not only passively strain the tissues around the neck and shoulders but also frequently contribute to TMJ disorder. 7. Pay attention to your habits while under stress. Many people will clench their jaw while thinking intensely. Chewing gum, ice, and hard candy can also contribute to TMJ disorder. If experiencing symptoms of TMJ disorder, these oral habits are better off avoided. Being a multi-specialty clinic, there are many ways that we can treat TMJ disorder within our walls. 1. Chiropractic adjustments- Adjustments are able to normalize imbalances in many of the joints of the body including the TMJ. By properly aligning the neck, nerve pressure can be relieved that can elude to jaw pain. Often times, more than one adjustment is necessary to stabilize jaw pain, but many find considerable relief after the first adjustment alone. a. Cryotherapy – cold pack treatment helps reduce inflammation and thus reduce pain. b. Stretching- stretching helps to loosen tight muscles that are in spasm, therefore reducing pain. c. Strengthening- specific exercises can be done to strengthen weak muscles, thus restoring muscular balance to the jaw and neck areas. d. Ultrasound therapy- in specific cases, using deep heat to loosen the muscle fibers can be essential to reduce “knots” or trigger points that ultimately restore them to their proper length. 3. Acupuncture – Acupuncture is an ancient healing art that originated in China over 4000 years ago. The premise of acupuncture is based on meridians (or pathways of energy) that run throughout the body. When a practitioner of acupuncture places needles into the body, they are placing those needles on key points along those meridians in order to manipulate that energy to promote healing in that area of the body. Treatment typically takes about 20 minutes to complete and is painless. Acupuncture is very effective at treating TMJ disorder and restoring the overall function of the body. 4. Family Medicine- At Health Quest we emphasize conservative care with drugs and surgery as the last resort when possible. But sometimes, if you are in extreme pain, it is necessary to have a little help to get you through. In extreme cases, medicine could be prescribed to help get you through the pain in the short term. 5. Massage- Often jaw pain is the result of tight muscles. Or sometimes the tight muscles might result from having the jaw pain. Either way, jaw pain can be relieved with a massage by relaxing muscles and increasing blood flow. This helps to speed up healing and flush out toxins in the local soft tissue. If you or someone you know is suffering from TMJ disorder, we may be able to help you at Health Quest through chiropractic, physical therapy, massage, acupuncture, or family medicine. At Health Quest, we are committed to helping you meet your health goals and leading you to a healthy and pain-free lifestyle. 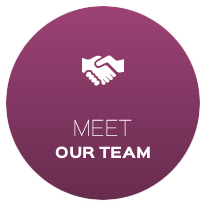 Call us today to schedule an evaluation at (573) 635-9655.